Willy Chavez Landscape Services, Inc. Comment: replace driveway, sidewalk and back patio. Comment: My project will be approximately 12x15 feet extending from the concrete slab in the backyard. Comment: The City is expanding the road, removing all our trees and shrubs that keep us seperated from the road/street. We would like to have a brick wall built to ensure our dogs do not run into the street and that access to our yard is limited from the sidewalk. 2900 S.W. Scholls Ferry Rd. Hillsboro Brick & Stone Masonry Contractors are rated 4.77 out of 5 based on 235 reviews of 20 pros. 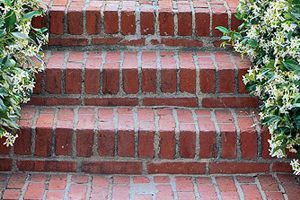 Not Looking for Brick & Stone Contractors in Hillsboro, OR?